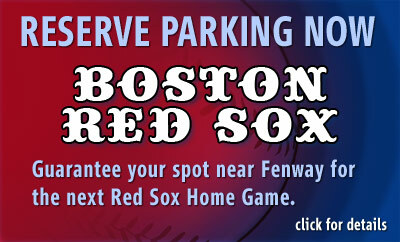 Parking for the Boston Red Sox couldn't be any closer ... but it will be in demand! Reserve Parking Now and be guaranteed a place to park. 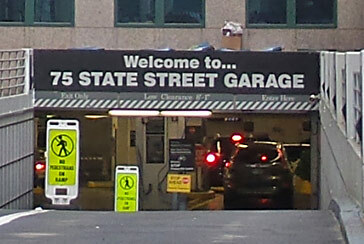 Parking options are as close as Lansdowne Street, Yawkey Way and Kilmarnock Street. Enjoy a short walk across the Fens footbridge from the MFA where parking is only $29 daytime and $17 evenings and weekends. You can guarantee having a space waiting for you by purchasing your parking in advance. Beat the crowd and select from the parking options listed on the map, just steps away from Fenway Park. Arrive early and enjoy pre game refreshments at Tasty Burger, The Yard House, Jerry Remy's, Bashos, Sweet Cheeks and more. For the latest Sox news or a schedule of upcoming games, click here.